It is time to speak about this blog… 7,000 (the first month on WordPress), 10,000 (March, 2013), 29,000 (the third month on WordPress), 50,000 (June, 2013), 77,000 (half a year on WordPress)… and now 100,000. Yes, as of today the “Playing Cards + Art = Collecting” blog has been viewed more than 100,000 times. But going back to the serious tone… ta-ta… ok, sorry. What I really want to do is to thank my readers for their attention and curiosity; artists featured on this blog for their talent and imagination; playing card producers for their sociability and efforts put into production of their decks. This blog couldn’t exist and doesn’t have any sense without all that. Thank you! First of all, suggestions of its readers were heard and this blog got a new decent address – http://playingcardcollector.net. Old one (https://playingcardcollector.wordpress.com) is also active. So now you can use both of them depending on your preferences. All old links will work automatically with new address as well as with old one. I guess people are not indifferent about this blog as they propose to improve it. And I am pleased to see their growing interest in it – 10,000 visits by mid March, 2013; 50,000 visits by mid June, 2013… and as a result of six-monthly efforts – more than 77,000 visits. Yes, this blog has been interesting for people more than 77,000 times. I try to post interesting (useful) information concerning decks of playing cards, playing card art (design) and art inspired by playing cards. And I see that people are really involved with my posts. Readers visit this blog each day. March 30, 2013 isn’t already the hottest day for this blog as it got 1,229 visits on July 17, 2013 (I have to think that at least one person didn’t have a working compass that day 😉 ). This blog was visited 7,000 times during the first month of its existence on WordPress. 17,993 times it was visited during this July (this time seven persons happened to be without compasses 🙂 ). So it should mean 580 (average) views per day and the serious growth in popularity of this blog (more than twice). Writing about the third month of this blog on WordPress, I expressed my hope to see new readers from around the globe. My hopes come true. This blog has found new friends from new places. And I once again hope that it will find new readers from different parts of the Earth. There are still some places unreached by this blog. This disappointing mistake should be fixed 🙂 . *** Please note that I used flags and names as they are given by the internal statistics of WordPress. So I am sorry for any possible discrepancy with official flag or name. As I understand the statistics of WordPress operates only with places which have their own ccTLD. It does not operate with human settlements. 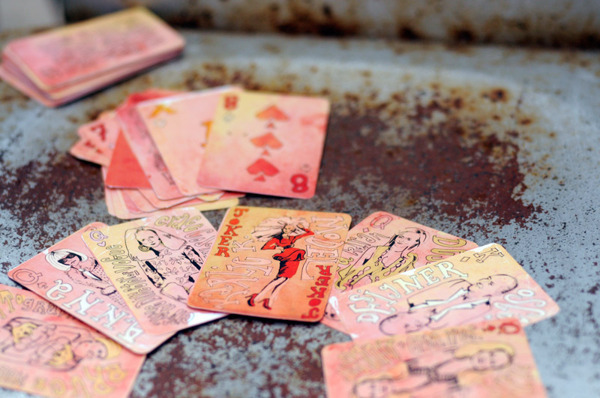 The American artist Emily K Armstrong decided to create a fashion themed deck of cards (project). She chose to feature American Fashion industry leaders for her court cards. All cards are hand drawn. 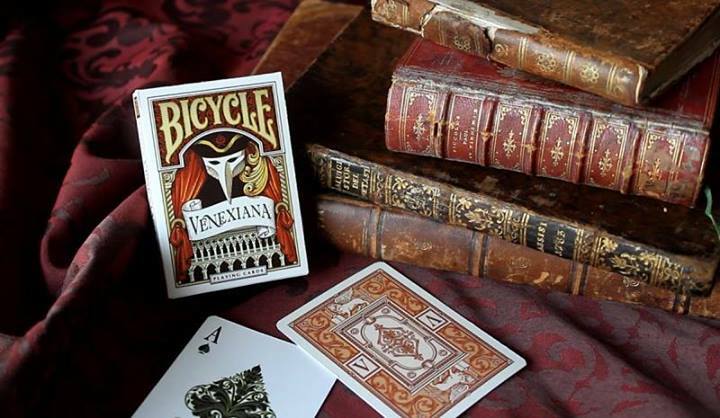 The launching of Bicycle Venexiana Playing Cards on Kickstarter has to be postponed to July 16 (today) evening at 5:00 EST. Be sure to find the link to the project on this page. 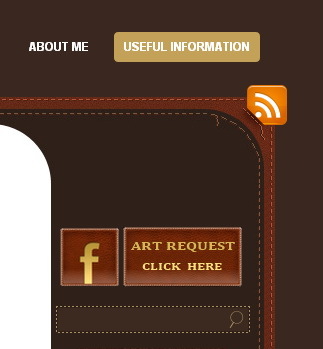 Dear artists and designers, you could notice the special banner in the right upper corner of the sidebar regarding playing card art requests. It was connected with the art request of Zeixs. 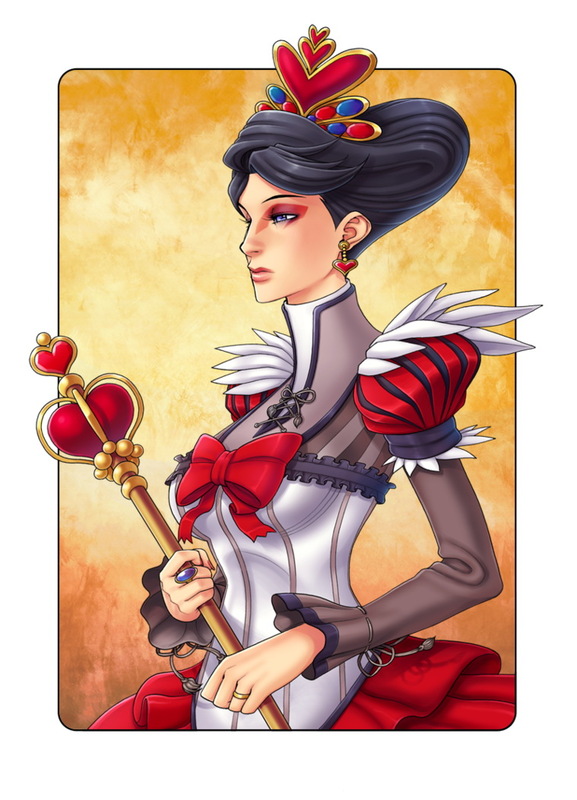 Now I am happy to announce that it is and will be connected with a special page dedicated to playing card art requests of different companies, organizations and independent projects. I hope it will be useful for both parts of such collaborations. Queens designed by Runshin (nickname).